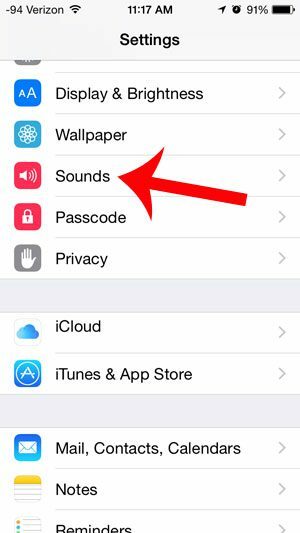 Does your iPhone play a sound every time you receive a new email, and you find it to be distracting? 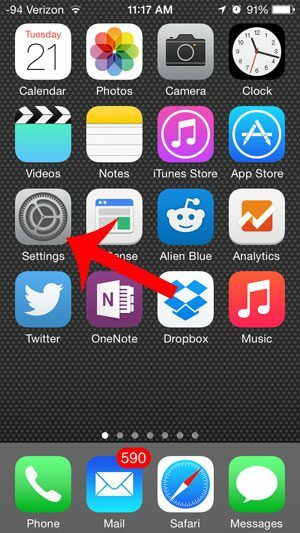 If you receive multiple emails throughout the day, or if you have more than one email account set up on your iPhone 5, then you may have gotten to the point where the email notification sound can be a bit of an annoyance. This is especially true if you work in an office environment and that sound is beginning to upset your coworkers. 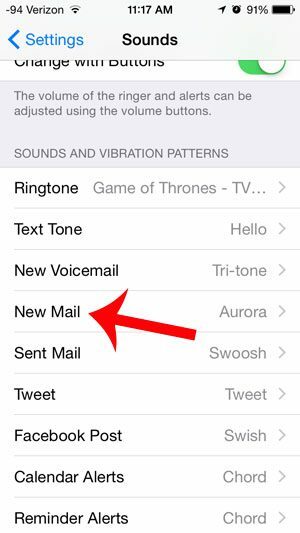 Fortunately you can change the notification settings on your iPhone 5 so that a sound no longer plays whenever you receive a new email message. 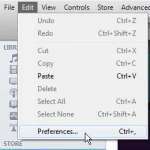 The steps in this article were performed on an iPhone 5 with the iOS 8 operating system. Screens and steps may be slightly different for earlier versions of iOS. Step 3: Touch the New Mail button. 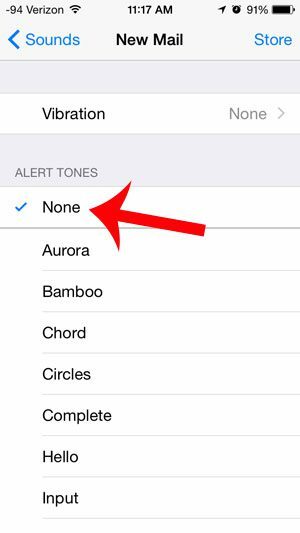 Step 4: Select the None option under Alert Tones. Note that there is also a Vibration option at the top of this screen, and you can elect to turn off the vibrations for your new emails as well. Would you like to be able to see a preview of new emails on your lock screen? 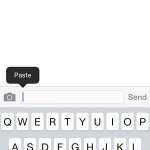 Read here to learn how to configure your iPhone for that behavior.